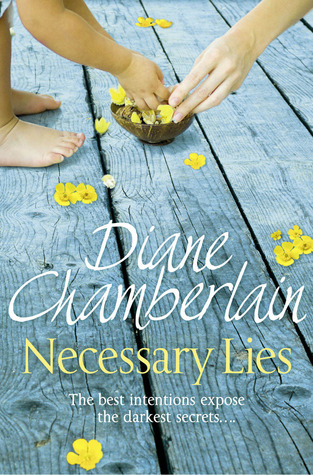 If you browse through my reviews, you’ll find a lot of Diane Chamberlain books on there. Just goes to show how much I like her style of writing, doesn’t it? I chanced upon this at my now-very-irregular lunchtime library run. I’ve started reading on the Kindle far more, and work has been really busy, plus I’m late most days in the mornings, so I make up for it by minimising my lunch time. It’s been fine apart from the fact that I don’t seem to reach the library these days. So, where was I? Oh yes, I found this book on one of my lunchtime library run. 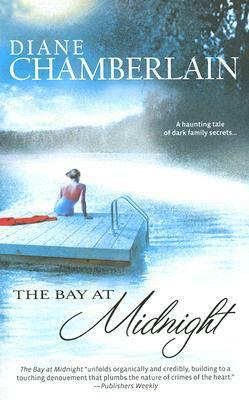 And having enjoyed Chamberlain before, picked it up without checking reviews on Goodreads. Thankfully for Rachel, she’s not completely alone in an antagonistic town, she has support in her old childhood friend Michael and unexpectedly, her grandmother Helen, with whom she realises, she shares a lot more than she had realised. Her time in Reflection, for Helen, becomes a time for coming to terms with her past, to stop running away from the ghosts of her past and facing up to the demons that haunt her. 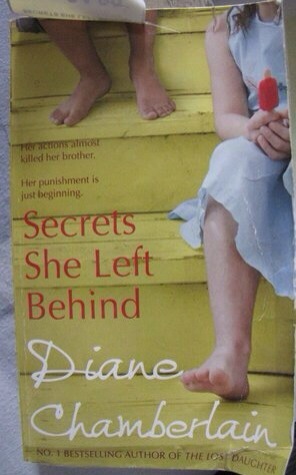 A beautiful story of love, loss and forgiveness. A beautiful book, full of sub plots, and intricate relationships. It had so many elements to it, so many layers and yet, everything beautifully balanced, an absolute page turner, keeping the suspense going until the very end. Characters you empathise with, characters you understand, even when they have completely divergent stands or points of view. The title especially, I felt was very apt. This will be one of my favourite Diane Chamberlains so far. I’ve found that her books are advertised as ‘Jodi Picoult type’ books, but I do think that she has a flavour of her own, a style that I quite enjoy. Can the best of intentions be enough justifications for taking decisions for someone else? And what if it’s done in an official way? Set in America Forrester os an idealistic young woman. Fresh out of college, newly married and just starting her new job as a social worker. Her job takes her to Grace County, one of the most impoverished areas, where people most needed help from the authorities. One of the first families that she meets are the Harts. Ivy and Mary Hart are sisters who live with their aging grandmother and Mary’s two-year old son Baby William. Sixteen year old Ivy, an epileptic seems to be the responsible one, the one who seems to be taking care and keeping an eye on Mary, Baby William and her Grandma’s medications. Mary seems intellectually disabled and so does Baby William. 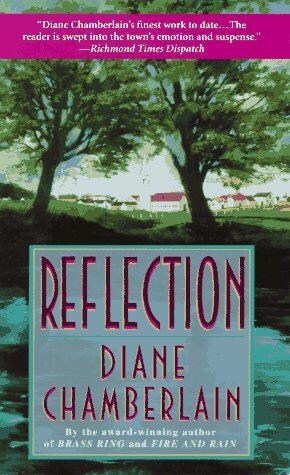 As Jane, gets involved with the Hart family as part of her job, she realizes that she is unable to keep herself from being emotionally involved. She also discovers some shocking facts about the Eugenics program that is ongoing. Women and girls who are seen to be likely to have children and not be in a position to raise the children, are sterilized by the state. Any excuse would work, some are deemed ‘feeble-minded or marginal’, some are labeled, ‘promiscuous’ anything that could be considered an excuse to prevent these impoverished people from having more children. The social workers were responsible for writing up a petition and getting it done. The worst part of the process is that some of the people who are made to undergo the process are not even aware of it, like Mary. She believes that she had an appendix operation after Baby William was born. She dreams of having 5 babies, oblivious to the fact that she can no longer have any more babies. Jane is soon faced with a decision she doesn’t want to make. A decision she doesn’t feel, that they as social workers, should be making, in the first place. She faces trouble at work for challenging status quo. Her co-workers are annoyed with her stance and also by her refusal to back down. Jane’s work is not the only area where the waters are tumultuous. Her marriage seems to be in trouble as well. Her new husband, Robert seems to have very different expectations from his wife that he had with his girlfriend. He is not very happy with her job, the fact that she has to go into the homes of people very poor, or even worse, black. He is unhappy with the fact that she chooses to work, he feels that it is demeaning for him to tell people that his wife is working. He wishes she could be happy with volunteering or pick up a job that is more ‘suitable’. Jane, on the other hand, has ideas of her own, aspirations of her own, and it doesn’t help that all of Robert’s friend’s wives seem to have taken an instant dislike to her. Jane is struggling to manage her husband’s expectations and try to do her best for her clients. Things come to a head when a certain turn of fate changes the course of events drastically. Suddenly, Jane is faced with a situation where she is suddenly all alone and helpless, and yet she is the only one who can save Ivy from the fate that stares at her. What a impactful book it was! The book transports you back to the time when Eugenics Program was accepted and people saw no harm in it. They never thought twice about the fact that they were taking control of other people’s lives without even checking with them. It is a spine chilling story, fictional, but something that could have/must have happened to so many people in those times. The Eugenics Program was apparently a social program, designed to weed out ‘undesirable’ traits in the human race. Sounds similar to what happened in Germany, doesn’t it? I guess it’s not surprising to read that Eugenics program was inspiration for what happened in Germany. Apparently, this continued in America from the 1920s till the 1970s. It is unbelievable to think that people actually did this and endorsed it. I would definitely recommend this book. Not the easiest of books to read. Painful, and excruciatingly sad at times. it makes you wish and hope for Ivy and others like Ivy who don’t stand a chance in life. It makes you glad for people like Jane, who fought the system and made it stop. It is a heart-wrenching read, but still a great read. It ends with hope, hope for a future where people will hopefully not treat others less privileged or less able in this way. A 5/5 book for me. It’s a tought read, but well worth it, if you ask me. Renowned crime fiction writer Julie Bauer is working on her book when somebody at the door disturbs her concentration. It turns out to be a ghost from the past. The young woman at the door, takes Julie back to 41 years ago, when her sister’s death had changed the world for Julie and her family. She was Ethan Chapman’s daughter. Ethan Chapman and her families were neighbours in their summer place. Every year Julie and Ethan’s families holidayed in their summer place, by a lovely bay. They grew up as friends, but that last summer when her sister died, everything changed. She has never heard from the Chapman family since. Now, some new information has come up that could plunge her back into the nightmare that was when Isabel died. The new evidence suggested that the wrong person had been indicted for the murder. Julie and Ethan have to figure out what they want to do with this. Do they want to go back and set things right, or just let things be. Does Julie have it in her to go through it all? And what else would digging in the past throw up? While she particularly wants justice for her sister, she also wonders about how it would impact her aging mother. There is so much at stake, but can she let her sister’s killer go unpunished? Her sister’s murder is not the only worry on her plate. Her seventeen year old daughter is causing her worries too, in some ways, mirroring the way seventeen year old Isabel had been with her mother, just before disaster struck. Could history be repeating itself or was there something Julie could learn from history? The book is a quick, fast paced read that keeps you hooked till the very end. There are so many surprises that are in store for Julie and us, the readers. Julie, her sister Lucy, Ethan are all believable characters, well fleshed out and real. The story keeps you gripped throughout. 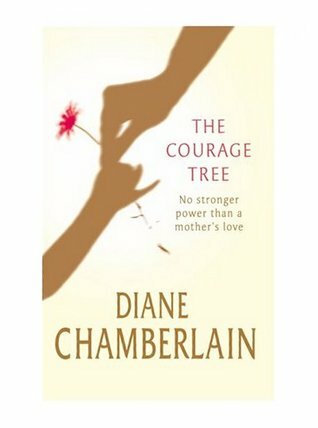 One of the things I particularly liked is the way the author has shown how the tragedy affected so many lives and how different people react to difficult situations. Julie was a spunky girl before the tragedy, but she turned into someone who did everything by the rules. She had lost too much to gamble on life any more. Lucy, her little sister on the other hand, was very, very scared, of everything until her sister’s death. Somehow, after her older sister’s death, she became fearless. As if the worst that could happen had happened, so she had nothing to fear any more. The story weaves between the past and the present, with each character’s point of view. The twist in the end, and some unexpected revelations do come us a surprise. It could be classified as a romantic suspense, I suppose. 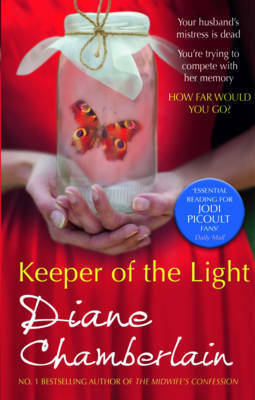 The book had a blurb saying that if you like Jodi Picoult’s books, you will love it. But to be honest, I find Picoult’s work far more engaging and interesting. I would give it a 3.5/5. It is a fast paced, quick read, perfect for a holiday, or a rainy day. I have enjoyed some of her other books far more. This book is available on Amazon(Paperback and Kindle) and Flipkart(in India). Laura has just lost her dad. On his deathbed, he leaves her an intriguing message to ‘look after Sarah Tolley’, because she ‘has no family’. Laura is puzzled by this. She has never heard of this woman. Little does she know that her father’s request was going to change her life. Just as she is grappling to come to terms with her father’ death and his strange wish, her husband commits suicide and her 5 year old daughter, witness to her father’s suicide, stops talking. Completely. Laura, a renowned Astronomer, gives up her passion and career to help her daughter come out of her trauma. One of the things her daughter’s counsellor advises is to get in touch with her daughter’s birth dad, a person who she has met just once. Despite her worries for her child, Laura is unable to forget Sarah Tolley. She visits Sarah in the old age facility that she lives in when she discovers that her dad had paid for Sarah to live there. Sarah is alone, nobody has ever visited her and is suffering from Alzheimer’s. She does not recognize Laura’s dad, nor does it seem likely that she and her dad might have ever met. Puzzled, Laura delves deeper into the mystery of Sarah Tolley and how her dad knows her.She comes across some shattering secrets that some people are trying very hard to keep hidden. A wonderful book. One that refused to let me stop reading it. It keeps you hanging on, keeps you guessing and then some more. I would definitely recommend this book.